Largely complete MUH collection from 1957 2/- Map to 2011 World Wide Fund For Nature M/S in Seven Seas Hingeless album with slipcase. Face Value $137.00. Complete MUH collection from 1994 The Last Huskies set to 2013 Antarctic Expedition M/S, including some additional blocks and gutter strips in Seven Seas Hingeless album with slipcase. Face Value $332.50. Largely complete MUH collection from 1958 QEII Definitive set to 2002 Bird set, excluding a few recent sets only in Seven Seas Hingeless album. Face Value $287.50. Complete MUH collection from 1993 Seabirds set to 2013 Christmas set, including some additional blocks, gutter strips and booklets in Seven Seas Hingeless album. Face Value $619.40. Also 2005 Year of the Rooster, 2006 Year of the Dog, 2007 Year of the Pig and 2008 Year of the Rat Coin and Stamp PNC FDC's. Largely complete MUH collection from 1963 Definitive set to 2002 Sea Turtles set, excluding 1990-91 Provisional overprints set of 7 and few recent issues only in Seven Seas Hingeless album. Few duplicate sets. Face Value $282.00. 1963 Definitive set MUH (6 including imprint blocks of 4), 1963 Definitive set on WCS FDC's, Australian 1966 Definitive set of 22 (no coils) on WCS FDC's, cancelled on First Day of Issue in the Cocos (Keeling) Islands and a few other items. 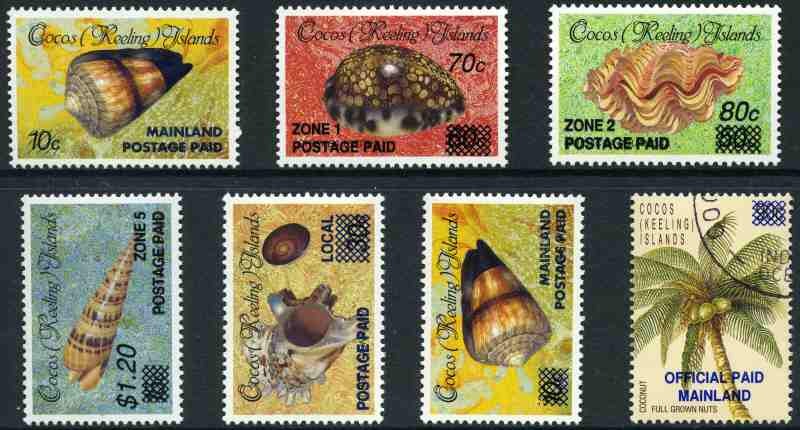 Complete MUH collection from 1994 Map of Cocos (Keeling) Islands to 2013 Barrel Mail set, including some additional gutter strips and 2011 Colours of Cocos Gift cards pack in Seven Seas Hingeless album with slipcase. Face Value $226.50. 1916 10/- Pale Blue De La Rue print Seahorse MVLH and superbly well centered. Sg 23. Catalogue Value £250.00. Largely complete MUH collection from 1937-48 Smooth Paper Ships set to 2000 Sydney Olympics set in Seven Seas Hingeless album. 1963-65 Definitive set MLH and excludes few recent issues only. Face value of Decimal issues $257.00. Largely complete MUH collection from 1947-59 Ball Bay set of 14 to 2002 South Pacific Mini Games set in Seven Seas Hingeless album in 2 binders. 1956 Pitcairners set, 1958 Surcharge set, 1960 Surcharge set, 1960 2/8 Local Government and 1964 5d Christmas MLH. Excludes few recent issues only. Face value of Decimal issues $499.00. 1970-71 Bird set (2), 1974 UPU M/S (20, 4 FU), 1979 Legislative Assembly half sheet of 25 and 1992 Year Pack, plus AAT 1957-61 Pre-Decimal set (4) and Norfolk Is, Christmas Is and Cocos (Keeling) Is 1965 Anzac sheets of 48 MUH. Also 1981 Parrot Aerogramme folded mint and cancelled FDI (6 of each). 1995, 1996, 1997, 1998, 2000 (2), 2001, 2002, 2003, 2004 (2), 2005, 2006, 2007, 2008 (2), 2009 (2), 2010, 2011, 2012 and 2013 Australian Territories Year folders. Face Value $439.35. Christmas Island complete from 1958 QEII Definitive set to 1989 Stampshow O/P set and Cocos (Keeling) Islands complete from 1963 Definitive set to 1989 Aerial Survey set MUH in Seven Seas Hingeless album. 1958 QEII Definitive set MLH. Face Value of Decimal issues $235.00. Australian Antarctic Territory complete from 1957 2/- Map to 1994 Huskies set, Christmas Island complete from 1958 QEII Definitive set to 1992 Christmas strip of 5, Cocos (Keeling) Islands complete from 1963 Definitive set to 1993 Christmas set including 1990-91 Provisional overprints set of 7, Norfolk Island range from 1947-59 Ball Bay set of 14 to 1993 Christmas set MUH in Seven Seas Hingeless albums with slipcases. Includes some additional items, mainly in blocks of 4, plus small range of Nauru from 1992 to 1994. Odd early item MLH. Face value of Decimal issues $1,224.00. Australian Antarctic Territory, Christmas Island, Cocos (Keeling) Island, Nauru and Norfolk Island collection of MUH stamps from 1957 to 1988, mainly on Seven Seas Hingeless pages. Face Value of Decimal issues $388.00. AAT, Christmas Island and Cocos (Keeling) Island selection of hundreds of MUH and FU stamps from 1957 to recent. Also Australia collection of 303 mostly used Pre-Decimal stamps in small stockbook and 877 MUH low value Pre-Decimal issues. 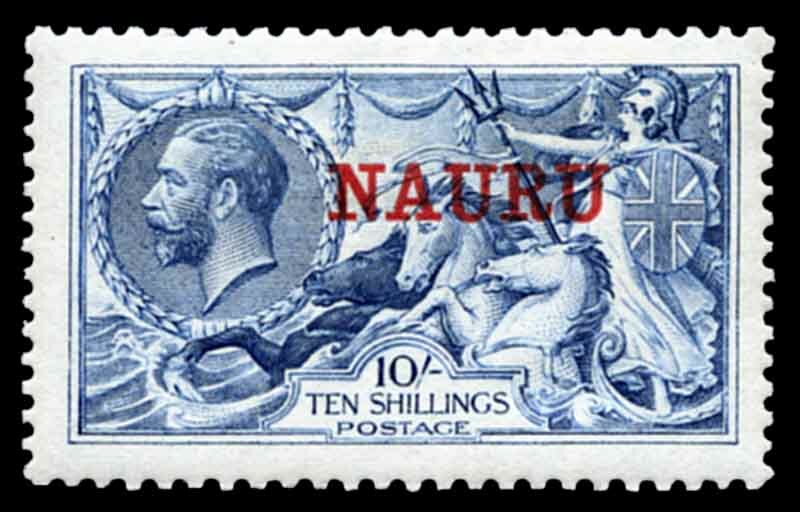 Christmas Island, Cocos (Keeling) Islands, Nauru and Norfolk Island accumulation of MUH stamps and some miniature sheets from 1968 to 1990 (Face value $1,645.00) and Papua New Guinea from 1972 to 1988 (Face value K402.00). Includes numerous sets and varying duplication. Australian Antarctic Territory, Christmas Island, Cocos (Keeling) Islands, Nauru and Norfolk Island collection of MUH and FU stamps from 1947 to 1985 (Face value of MUH Decimal issues $1,220.00) and Papua New Guinea from 1952 to 1984 (Face value of MUH Decimal issues K606.00) in 7 loose leaf albums, plus sorted into packets in shoebox. Includes handy range of early issues, numerous sets and some FDC's with varying duplication. Some early items MLH. Largely complete MUH Decimal collections of Christmas Island (FV $317.00), Cocos (Keeling) Islands (FV $71.00), Nauru (FV $132.00), Norfolk Island (FV $171.00) and Papua New Guinea (FV K353.00) including some duplication in 6 albums. Christmas Island, Cocos (Keeling) Islands, Nauru, Norfolk Island and Papua New Guinea collection of MUH stamps from 1963 to 1990, plus small range of Pitcairn Is, Fiji and Samoa including numerous sets and some duplication in 9 albums. 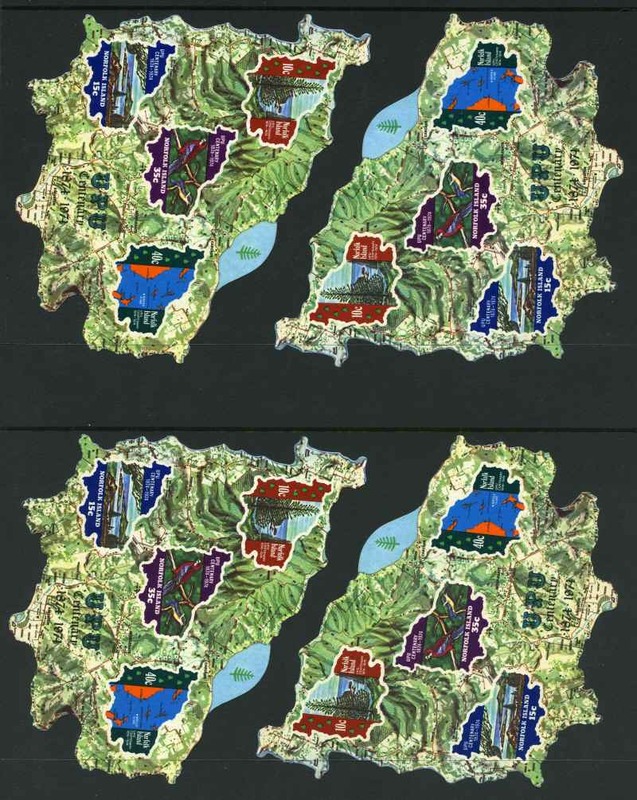 Face value of Territory issues $496.00, PNG K159.00 and Pacific Islands $126.00. Also range of early Norfolk Island and Papua New Guinea issues from 1947 to 1965 mixed MUH, MLH and FU including better items and many sets. Australian Territories & Papua New Guinea. Australian Antarctic Territory 1957-2001, Christmas Island 1963-2001, Cocos (Keeling) Islands 1963-2001, Nauru 1968-2001 and Norfolk Island 1947-2004 largely complete mint collections (Face value of Decimal issues $1,394.00) and Papua New Guinea largely complete collection from 1966 to 2001 (Face value K367.00), all on Seven Seas pages in 8 binders. Odd early item FU and all issues from 1976 onwards MUH. Complete MUH collection of Christmas Island from 1958 QEII Definitive set to 1973 Christmas set, Cocos (Keeling) Islands from 1963 Definitive set to 1969 Definitive set, Nauru from 1954 Definitive set to 1974 UPU set, Norfolk Island from 1947 Ball Bay set (MLH) to 1974 Cook set and Papua New Guinea from 1966 Butterflies set to 1974 Bird set, many issues represented up to 5 sets of each. 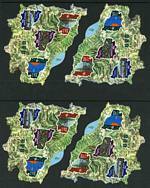 Also Papua New Guinea complete FU collection from 1952-58 Definitive set to 1965 United Nations set.